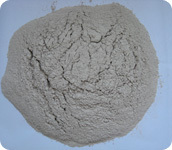 PEARL ® - ACTIVATED BLEACHING EARTH (CS-1060) is manufactured by acid activation of ca-bentonite, which is a fine, greyish-white powder showing a highly porous inner structure and a multitude of acid sites upon its surface. It is well suitable for refining vegetable and animal oils and fats, moreover for finishing and/or reprocessing numerous types of mineral oils, praffins and waxes. 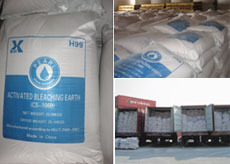 XIAMEN BENTONITE INTERNATIONAL CORPORATION (XBIC) is one of the largest Chinese manufacturers of activated bleaching earth (CS-1060) since the foundation in 2000, and our annual output of Pearl ® - activated bleaching earth (CS-1060) is nearly 60,000mt. Pearl ® - activated bleaching earth (CS-1060) is supplied in uv-proof and aging-resistant bag according to GB/T10454 and EN ISO 21898, which is suitable to be stored in a severe environment for long term. ● Packed in 25.00kgs pp bag with pe liner. ● Packed in 25.00kgs pp bag with pe liner (50bags on a pallet). ● Packed in 1000kgs jumbo pp bag with pe liner (2bags on a pallet). ● meet or exceed the specification of CS-1060 (HG/T 2569: 2007).